BBS does more than just provide various tax compliance services. 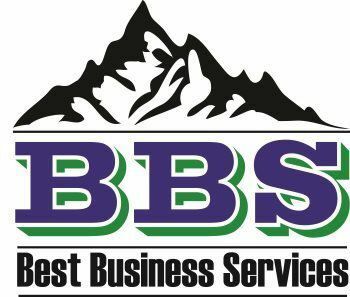 BBS is your partner and will review your business goals and operations and help determine the best Federal and State tax strategies to reduce your taxes over the long term. Tax experts creating expert tax strategies. Trying to stay current on the ever-changing complex state and federal tax codes is a near impossible task. However, doing so can save taxpayers substantial amounts of money. BBS understands that our clients have more important things to worry about in their businesses, so our top-notch tax professional can help your company make the best decisions possible for your long-term business strategies and objectives. A strategy built to maximize your benefits and minimize your burden. Truly effective tax strategies don’t just happen at tax time. They require consistent year-round attention. The tax professionals at BBS will review your entire business and financial situation to fully understand how to best take advantage of current and projected future tax codes to maximize your financial benefits and reduce your overall costs. Sometimes maximizing your benefits doesn’t mean getting a largest one year tax refund. Our objective is to help you manage your business and financial assets so that you can minimize your tax burden and maximize your after-tax returns. Good tax planning looks at various tax options in order to determine when, whether, and how to conduct business and personal transactions to reduce or eliminate tax liabilities. Many small business owners ignore tax planning. They don't even think about their taxes until it's time to meet with their accountants, but tax planning is an ongoing process and good tax advice is a valuable commodity. It is to your benefit to review your income and expenses monthly and meet with your tax advisor periodically to analyze how you can take full advantage of the provisions, credits and deductions that are legally available to you. Although tax avoidance planning is encouraged and fully legal, tax evasion - the reduction of tax through deceit, subterfuge, or concealment - is not. Frequently what sets tax evasion apart from tax avoidance is the IRS's finding that there was fraudulent intent on the part of the business owner. BBS ensure that you follow all the correct tax rules to be fully compliant but also we help you to reduce your overall tax payments. Our tax strategies professionals provide a tax expertize and business acumen to establish and implement the best tax-efficient strategies for you.